‘Perfect Silence’ is the latest book by Helen Fields. The body of a young girl is found dumped on the roadside on the outskirts of Edinburgh. When pathologists examine the remains, they make a gruesome discovery: the silhouette of a doll carved in the victim’s skin. DCI Ava Turner and DI Luc Callanach are struggling to find leads in the case, until a doll made of skin is found nestled beside an abandoned baby. After another young woman is found butchered, Luc and Ava realise the babydoll killer is playing a horrifying game. And it’s only a matter of time before he strikes again. Can they stop another victim from being silenced forever – or is it already too late? ‘Perfect Silence’ is the latest instalment in the D.C.I. Callanach series and for me, it was the most disturbing as himself and his partner DCI Ava Turner battle against the clock from preventing the next woman to fall victim to the ‘Babydoll Killer’. The story flows at a fast pace and is seen through the narrative of both the detectives as they try to piece the clues together but the killer that they are chasing is extremely smart and rarely leaves clues, only a handmade doll pieced together by their victims skins. Another perspective from the story is from the insight of the victim as the minutes go by and they pray to be saved. This book has to be the darkest book in the series and is extremely gory in parts that does make for unsettling reading, so this book is not for the faint hearted. What’s surprising about the story, which is gripping and chilling, is the element of humour which does catch the reader off guard, as Ava battles with her boss, a strong willed Scottish woman who isn’t afraid to speak her mind and her relationship with the French detective, D.C.I. Luc Callanach which had its own share of complications. Gritty from the first page, ‘Perfect Silence’ is an incredible page turner that will have the reader hooked. With disturbing scenes and plenty of twists to catch the killer before they get the next victim, you will be racing through the pages until you reach the climatic end. 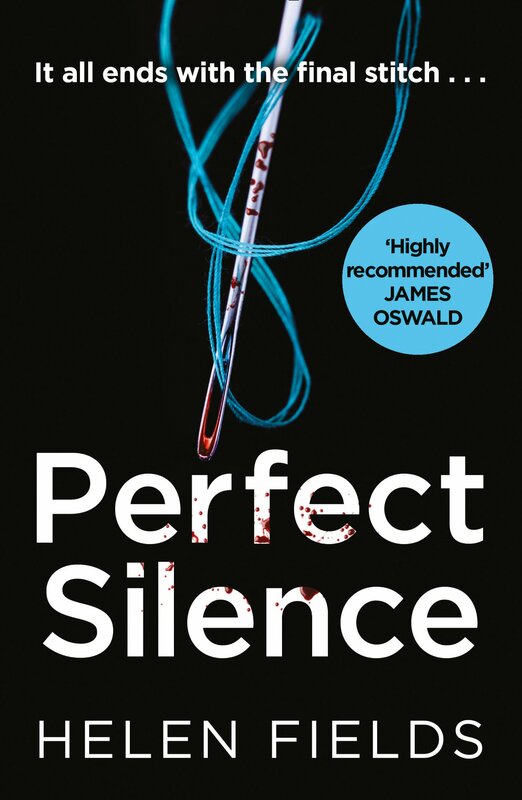 You can buy Perfect Silence from Amazon and is available to buy from good bookshops. On the book tour for the latest book in Helen Fields’ D.I. Callanach series called ‘Perfect Silence’, Helen talks about writing and jumping the shark. Rarely is a TV episode so bad that it coins a phrase denoting the point at which all credibility has been lost, but many years ago a show called ‘Happy Days’ did just that when the lead character “The Fonz” decided to water-ski over a shark. From that moment on the show died a creative death, and the phrase “jumping the shark” was born. It’s rather sad for a show that a whole generation loved, but it serves as a lesson to everyone in the writing industry – books, theatre or screen writing – not to overstep the mark. That may be more true in crime writing than in any other genre. You can get away with a lot more in sci-fi, and to an extent in dystopian fiction, but broadly speaking the same rules apply. Last week I watched ‘Sicario 2’ at the cinema. It’s high budget, the cinematography is impressive and the acting is good. It’s not that I didn’t enjoy the entire film, but *spoiler alert* at one point the lead character is shot in the head. Fortunately for the audience all is not lost because we later find out that the bullet passes through one cheek and out the other, leaving our hero free to continue the story. The bullet holes are clean and his teeth seem relatively unaffected. Now I would pay good money to sit down for a coffee with that particular hero (Benicio Del Toro is a heart-throb of mine) but for me – perhaps not for others – the writer had jumped the shark. Keeping credibility with you audience is vital. Keeping credibility with your audience whilst creating an engaging, thrilling story line, with the necessary twists and red herrings, now that’s an art form in itself. The story has to be believable. If it’s not, and your reader hits that “Really?” moment, you’ve lost them. Honestly, as a writer, it’s a minefield. Some years ago I stopped reading a crime series when it all got too far fetched. These days, as a writer, I’ve a lot more sympathy. There is a demand to produce the most gripping story line you can. Every reader (including me) wants that one special book you literally “can’t put down.” But the cost in terms of credibility can be high. As can playing it too safe. Real life is rarely as exciting as the fiction we love. The stakes are rarely as high. The ticking clock syndrome (portrayed so brilliantly in the series 24) almost never happens. But keep it too real, make it too believable, worry too much about proper procedure and what the police would actually do in any given scenario, and bangs goes your pulse-racing read. I wish I had answers. I think credibility has as much to do with how you write as what you write. Your characters have to be fully engaged. your dialogue has to be honest and real. If you’re introducing an incredible element, it has to have a credible reason for existing. But the truth is, this is the hardest element of thriller writing to get right. We all slip sometimes. I’m hoping readers will be understanding and a little forgiving. For me, I end each book by inserting an additional editing phrase, which consists of me asking myself the question, “Did I jump the shark?” As and when I do, I’m sure readers won’t hesitate to let me know! ‘Perfect Death’ is the third book in Detective Callanach series by Helen Fields. ‘Perfect Death’ is the latest book by Helen Fields and for me, has been the most unsettling from all her books. Right from the book, we are drawn into a dark and creepy, where a young man likes to befriend people, people who have suffered a bereavement, to offer comfort from their pain unaware that he is actually the creator of their pain. Like the previous Detective Callanach novels, the perspective is seen from the eyes of the French Detective, his colleague Ava Turner as she has to deal with the sudden death of her old boss who was found dead in his car. She’s convinced that there’s more to his death than suicide and begins her own investigation, putting her own life in jeopardy. Both Detectives find themselves racing against time, trying to stop the killer from claiming his next victim and always trying to be one step ahead. The different perspectives to the story, give the thriller a fast paced edge as the killer befriends his victims and the police try to get one step closer to him. The killer is a strange character and the insight into their mind, does make for uncomfortable reading as times, as well as the exploration into the dark underworld of Scotland’s crime scene. A strange and haunting story that is very cleverly written, ‘Perfect Death’ is a nail-biting thriller that keeps the reader on their toes. 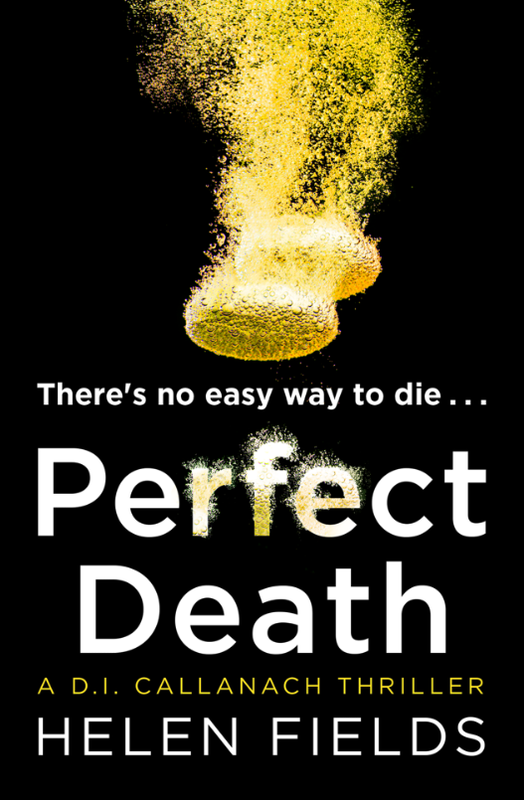 You can buy Perfect Death from Amazon and is available to buy from good bookshops. On the book tour for Helen Fields’ latest chilling book, sit back and enjoy an extract from ‘Perfect Death’, the third book in her DI Callanach series. Taking lives was more complicated than people imagined. You didn’t just blunder in unprepared. He had to know he was capable of carrying Sean. A daily work out with dumbbells ensured that would be possible, and the exercise had the added effect of keeping his body toned and desirable. He wasn’t vain, but there was no point in false modesty. Good looks and taut muscles made life easier. Then there was fight or flight. Life was unpredictable. Better to imagine potential conflicts and prepare for them. He liked a fight though. Dominance. Exertion. But he knew when to run. The first lessons of his childhood – when to run, when to hide, when to remain silent. Staying in shape reduced the chances of capture. Watching Sean warm up, he saw a man who prided himself on being jovial. There was a smile for everyone around him, one of those ‘what a wonderful world’ smiles too, nothing fake about it. Sean wanted to like and to be liked. That would make approaching him much easier. Manipulating him would be almost no challenge at all. A shame, really. Sean’s height and weight were the key to knowing how much sedative he would need for incapacitation. He didn’t want to kill him too quickly. That would give no satisfaction at all. Grief was best enjoyed slowly, a drip-drip-drip of emotion, and he wanted to be there to lick every tear from the face of Sean’s best beloved. There was more to do yet. Trust to be built. A fire to kindle. That made him think of Lily. He shut his eyes, willing himself not to be distracted by the memory. He studied Sean instead. There was something vital about him. Utterly intoxicating. His hands itched to hold him.